When it’s really time to write, the universe always seems to bless me with a life experience that let’s me know exactly what I’m meant to write about that day… Today it is unconditional love. Until this morning, unconditional love was always a concept to me – at least when it came to applying it to day-to-day life. Sure, like so many other things, my mind thought it knew what it meant and of course I tried to be unconditional in my loving… and I often ran into glitches. My judgmental mind would say, “Oh I wish this person would just be more neat.” or “Why doesn’t he/she do it my way?” or one of my favorites, “They just don’t get it!” Each time I would think a thought like these, part of me would pull away or separate from the person I was thinking about – no matter how much I loved them. Often subtle and slight, still I was closing off a part of my love. The other huge place I noticed that I lacked unconditional love was for myself. Yes, after years of self-hatred, I’ve found a place of deep love, respect and honoring for myself. At the same time, still when I would do something that I deemed not-so-great or I couldn’t figure something out or I didn’t do what I was “supposed” to do, I would find a way to hold back acceptance or love for myself. Even worse, I and most of have parts of ourselves that we’re not proud of or that we’d rather other people didn’t know about because we’re afraid of what they might think if they knew THAT! I might call these things that we want to hide, keep secret, or try to polish up so they look better than they are… our shadow or dark side (compared to our loving, compassionate, generous, kind, light side that we think is the only one people want to see). Don’t you feel good when someone around you is really honest about what isn’t so great about themselves or what isn’t really working in their life? Doesn’t it often make you feel like you are not alone and that you can relax and show more of your true self? And, when you see someone expose a weakness or vulnerability don’t you often fall in love with them? This is an expression of unconditional love… loving all…without exception. If we are living and breathing on this earth and we are not enlightened (and even if we are), we will have reactions. We will get upset. We will say or do something we wish we hadn’t. We’ll know that we yelled at somebody or ignored someone who didn’t really deserve it. No matter what behaviors we have that we’d like to change, they’re normal. That dark and light – the great and the not so great – are all part of being human. your co-worker, or your lover? Just because we have parts of ourselves that we wish were different or do things we wish we’d done differently doesn’t mean we can’t be love and kind. The same is true for others in our lives. Love – unconditional love – is always available… when we choose it. This morning during a Journey process I had a direct experience of unconditional love for myself and others. I saw how I had thought that unconditional love could surround and embrace all that was “good” in the world, but what I hadn’t realized is that I was unconsciously excluding all that was “dark” or “unlovable”. I’d love fully the good parts of myself, of others, even of life, but I wouldn’t focus my love on the other “disagreeable” parts. I recognized that when I turned that love fully toward what I deemed dark, unlovable, or bad that that very love grew even more vast and deep. It was profound. In that moment, I felt more love than I’d ever felt before. I could love all of me… the good, the bad and the ugly. I could love all of life. I experienced an embrace and acceptance that I’d never known. I realized that unconditional love for everything is an antidote for all suffering. I can only suffer – feel pain or upset – when I dislike someone or something that is happening. In other words, when I’m resisting what is. When I embrace that which I’m not liking with love, all pain and suffering falls away. As a friend reminded me this morning, these are the words Byron Katie so often speaks, “Loving what is.” I get it now! where do you hold back your love? some characteristic or behavior they have? Is it time for you to stop suffering so much and start truly unconditionally loving? I can truly say that I don’t think life will ever be the same for me again after this morning. If you are ready to find more peace, joy, passion…. more unconditional love… then call me to schedule a coaching or journey session or join me for a workshop. You deserve to be happy and in love! 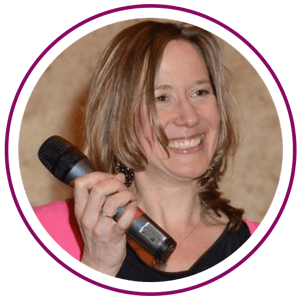 Take the first step by scheduling a FREE Discovery Session with me.